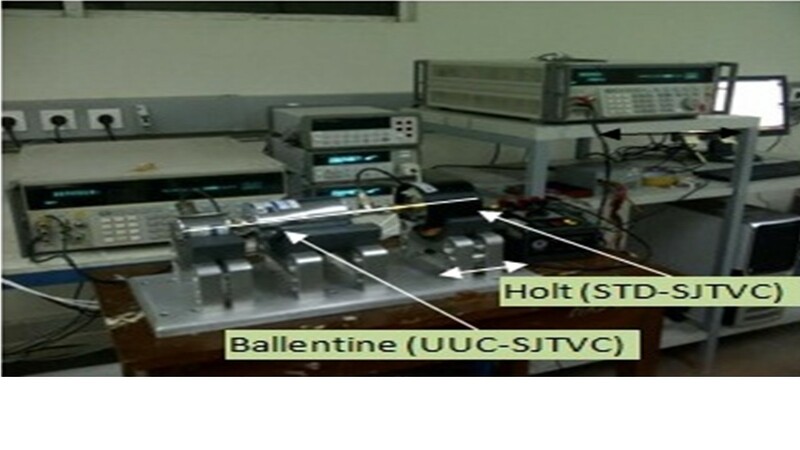 Currently, three single junction–type Thermal Voltage Converter (TVC) standard units represent the highest standard of AC (Alternating Current) voltages owned by the Electrical Metrology Laboratory, Research Centre for Metrology—Indonesian Institute of Sciences. The accuracy of the single junction–type TVC is maintained regularly via intercomparison processes using a one-step build-up and build-down method. To reduce the calibration process quantity, three steps of build-up and build-down measurements that refer to the 4 V measurement point of a HOLT production single junction–type TVC were carried out. The dissemination processes with the best measurement accuracy up to 20 ppm were successfully obtained from measurement points between 1 V and 20 V via 4–1V, 4–2V, 4–3V, 4–6V, 4–10V, and 4–20V formations. This research produced a new intercomparison format called the TSBUBD method for single junction–type TVC dissemination processes. The experiment, using a three-step build-up and build-down method at a 4-V reference measurement point, produced measurement accuracies from 20 ?V to 104 ?V for six measurement formations, namely 4–1 V, 4–2 V, 4–3 V, 4–6 V, 4–10 V, and 4–20 V at working frequencies of 20 Hz to 1 MHz. This finding means that calibration processes for these six measurement points (1 V, 2 V, 3 V, 6 V, 10 V [10 Hz and 200 kHz], and 20 V [20 Hz–1 kHz, 200–300 kHz, and 1000 kHz]) can be represented by only one calibration process at 4 V. This method should be developed for the next 60 V and 500 V reference measurement points. If this development process is completed, all AC standard calibration processes will be reduced from 15 units (1V, 2V, 3V, 4V, 6V, 10V, 20V, 30V, 60V, 100V, 200V, 300V, 500V, 600V, and 1000V) to 3 units (4 V, 60 V, and 500 V). Based on Table 6, the three-step method has been validated can reduce the required cost and time by 80%. The authors would like to express our thanks to the management team at the Research Centre for Metrology—Indonesian Institute of Sciences, which supported the research in the form of facilities and infrastructure. We are also indebted to our friends, who helped in ensuring that the study ran smoothly, whether directly or indirectly.